If you didn’t get the opportunity to attend the Fall user group conferences, you can watch our presentations from the Fall Midwest User Group and West Coast User Group conferences here. 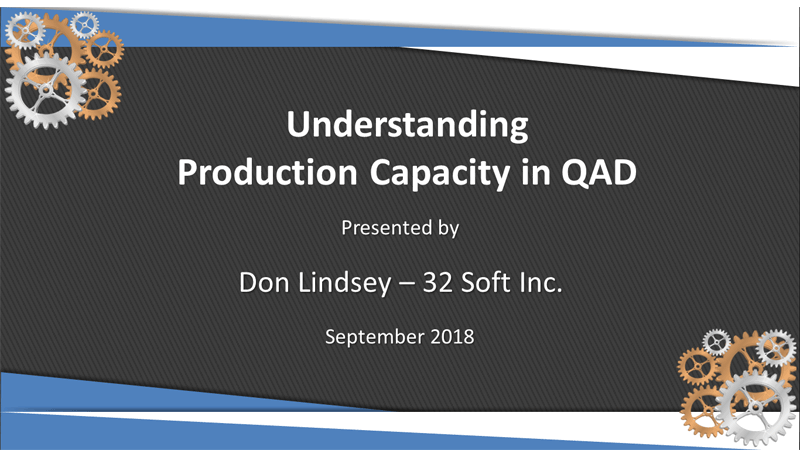 Don guides your understanding of capacity planning from its interaction with SIOP through production planning at the family or group level, to the use of rough cut capacity planning at the Master Scheduling level, and more. Originally presented at the MWUG Fall 2018 Conference in Cleveland, OH. Contact us for a copy of the PowerPoint presentation or if you need a better understanding of capacity, MRP or QAD functionality. Lance McKeown knows the amount of work that goes into a new product launch — the planning for ramp-up, full production and eventually, product end-of-life. 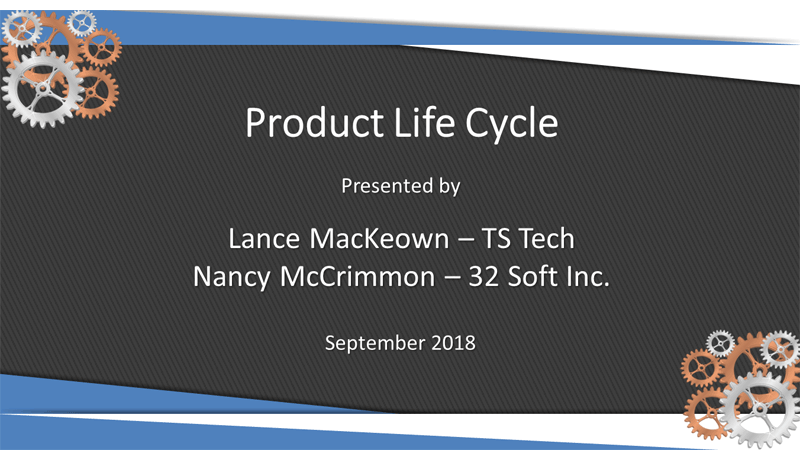 Find out how 32 Soft technology takes the pain out of new product launches and makes quick work of managing changes throughout the product’s lifecycle. Originally presented at the MWUG Fall 2018 Conference in Cleveland, OH. Contact us for a copy of the PowerPoint presentation. Don introduces MRP concepts and the elements required to run MRP: inventory, product structure, and item planning data. He’ll cover independent vs. dependent demand, MRP prerequisites, MRP calculations, MRP order types, and more—and demonstrates how these concepts relate to QAD planning data elements. Originally presented at the WECUG Fall 2018 Conference in Santa Barbara, CA. Contact us for a copy of the PowerPoint presentation. Find out how Walbro has eliminated bottle-necks, saved hundreds of man-hours, and increased profitability while equipping their staff with the ability to quickly react to customer needs. Using the right tools for QAD, they shattered the pain chain in the areas of master data maintenance, inventory control, production and planning, supply chain management, and compliance. 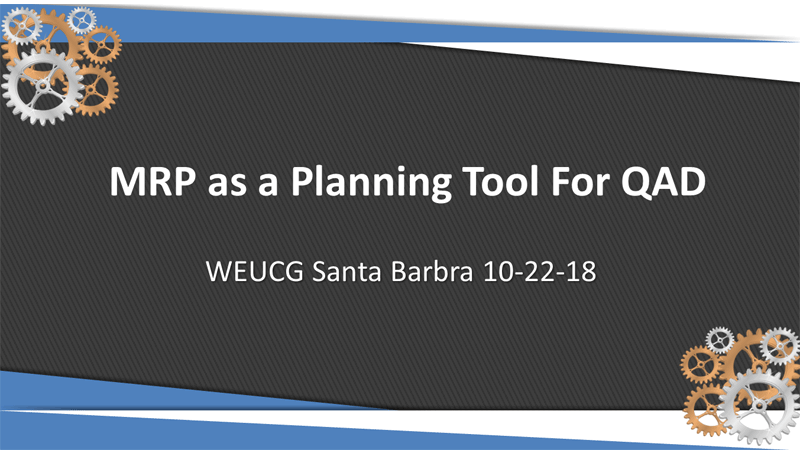 Originally presented at the WECUG Fall 2018 Conference in Santa Barbara, CA. Contact us for a copy of the PowerPoint presentation.